Able’s annual Deafblind Camp gives Deafblind people from around the country a time and place to come together in a safe environment with 24/7 support. Over the years, the camp has run in a number of venues and areas, but campers agree that as long as they are able to meet every year to share their experiences, the location doesn’t matter. Every year the camp takes a lot of planning and consideration. As well as an opportunity for socialising and fun, it is also seen as an opportunity to share information and training in areas that improve communication and independence. At the camps, it is not unusual to see campers using assistive technology for the first time, or learning about tactile sign. It’s for these reasons the camp is hugely important to Able clients, and anyone with dual sensory impairment or loss that attends. “It’s the only time we can truly be ourselves. No barriers whatsoever,” one camper said. 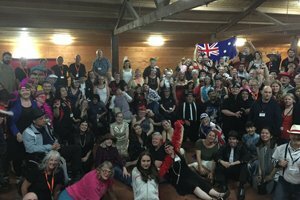 At this year’s camp in Phillip Island, campers, volunteers and staff met, reconnected and got to know each other over two days of sensory games, a disco night and off-site activities. The planning committee works to put together a schedule that is accessible and engaging – ensuring people with dual sensory loss or impairment are consulted and involved every step of the way. The camp gets better each year, and the feedback from everyone who attends is the same – every year is a ‘must’. Gary Daly is the Special Projects Coordinator at Able Australia and Secretary at Deafblind International, an organisation focused on the needs of individuals who are deafblind, their families and the professionals who provide services to deafblind people. 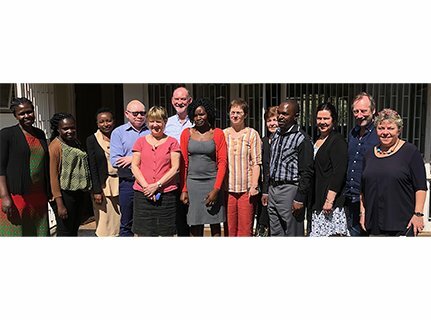 In Nairobi, Kenya earlier this month, Gary attended the Deafblind International (DbI) Management Committee where challenges facing deafblind people around the world were discussed. Able Australia will be hosting the 17th Deafblind International World Conference in August. The conference will be held on the sunny Gold Coast and features some incredible guest speakers giving their individual expertise on a number of topics relating to deafblindness. To view more information, visit our conference website. The Deafblind International Conferences are integral in encouraging the development of networks, opportunities and learning for the benefit of deafblind people. These conferences provide a channel that facilitates communication between deafblind people, families, professionals, organisations in the field and the wider community while improving and promoting education and opportunities for deafblind people. By encouraging research, development and training, the quality of services for deafblind people are promoted and improved. We look forward to hosting the 17th International Deafblind Conference with the key themes of accessibility, communication and technology. To register your attendance at the conference, please click here. On 12 March, Able Australia had the opportunity to present to some of the Queensland Deafblind community about the National Disability Insurance Scheme (NDIS). The morning session was a great success with a number of participants coming to hear Able’s Senior Support Coordinator Justin Elks speak about the NDIS, how to apply, and how to make the most out of their plans. Able understands that the NDIS can sometimes be challenging to navigate, especially for those with more complex needs. As part of Able’s Support Coordination service, Justin and his team work closely with NDIS participants to identify needs, personalise supports and make sure every participant is matched with the right services. Throughout the session, Justin provided information on a range of topics, including how the NDIS can increase access to assistive technology, how some of the Deafblind community are using their NDIS funding, and how to prepare for planning meetings with the NDIA. 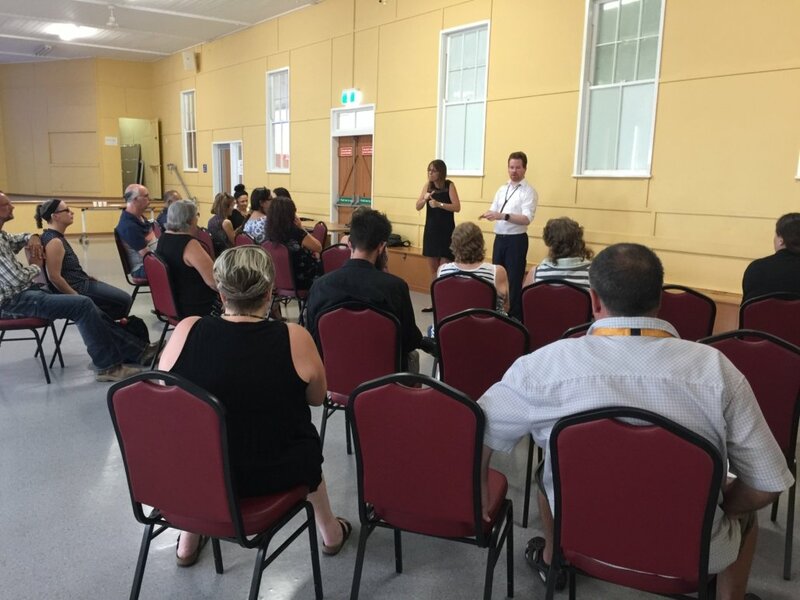 The session was a fantastic opportunity for the Queensland Deafblind community and Able staff to have an open conversation about how the NDIS can be used to ensure the best support is being received. If you require any assistance with accessing the NDIS or getting the most out of your plan, please contact Able Australia on 1300 225 369. You can also read more about our Support Coordination service here. Happy International Women's Day 2019. The theme for International Women’s Day 2019 is Balance is Better. Able Australia would like to take this opportunity to celebrate all women, and in particular women with disabilities and those who support them. National Disability Services have published a media release sharing some great work that is happening in the sector to support women. Read it here. Happy International Women’s Day from Able Australia! Able Clients Swap the City Life for a Day on the Farm. The Young Adult Program runs during the week at our day centre in Invermay, Launceston. Every Friday, the team love to get out of the city and over to the outskirts of Launceston where staff member Angus has access to a farm filled with animals and luscious gardens. Together with support from the staff, the clients swap their day centre activities for a day of cuddling farm animals, maintaining the vegetable gardens and collecting eggs from the chickens. Later in the year, there are even plans to beginning rearing piglets. The Young Adult Program has been visiting the farm as a regular activity for four years and it is a hugely loved part of the program. As well as learning skills in harvesting and cooking, the team gets firsthand knowledge about fresh and healthy food, nature and the outdoors. The activities that everyone undertakes together teaches invaluable skills in communicating, taking turns, teamwork and nutrition. 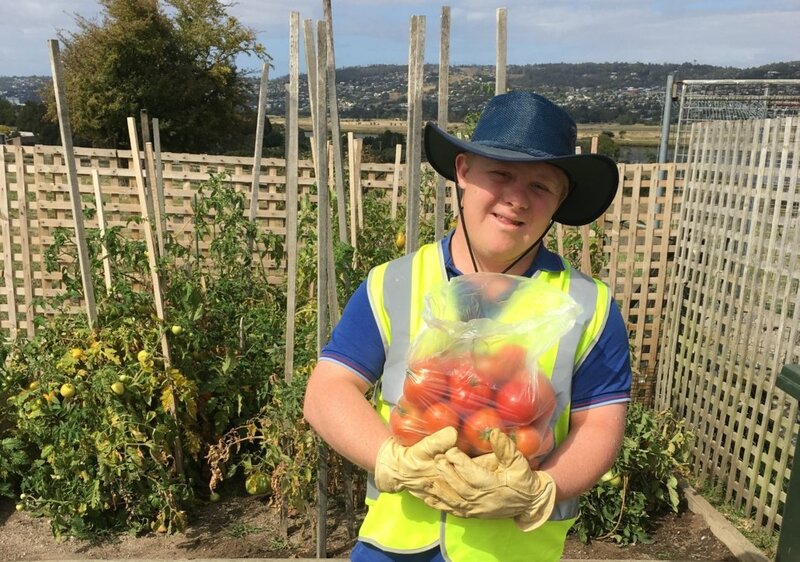 Lachlan has been a part of the Young Adult Program for 18 months and he in particular has developed a keen interest in helping out at the farm. Angus and Lachlan often travel there to work on outdoor projects together, including tending to the gardens and building a lattice wall to protect the vegetable garden from the wind. Lachlan has even titled himself Farm Manager, wearing a high vis vest on his visits! Lachlan’s next project will be building a pig sty with Angus to house the piglets that will be soon calling the farm home. We can’t wait to see what the ‘Farm Manager’ builds! 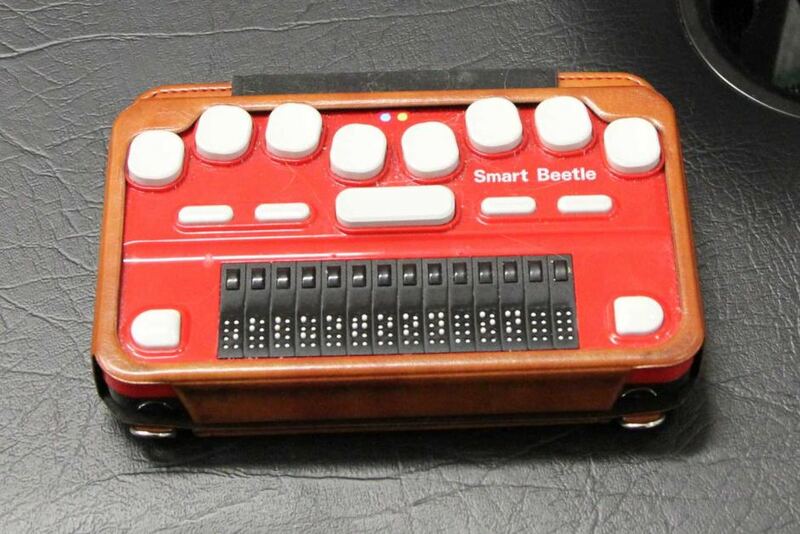 Technology Acts as a 'Lifeline' for those with Deafblindness. 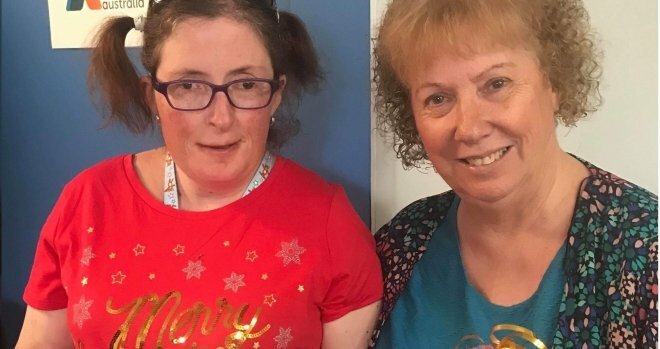 Heather and Michelle are deafblind. 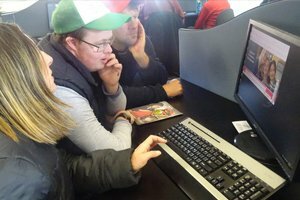 With the support of Able Australia and Ablelink, our digital literacy hub, they have used technology to maintain their independence. ABC News have published an article on the use of technology at Ablelink, and how it has changed lives for Able Australia clients. Sharon, a client of Able Australia, shows resilience and ingenuity when faced with a significant life change. Mid last year Sharon was given the unfortunate news that her position working at the mail centre had been made redundant after 15 years of service. Disappointed, Sharon and her support worker Kaii began looking for something new for Sharon to do, and a new goal to achieve. Sharon and Kai decided they would learn how to make natural soaps. The soaps are varied with beautiful scented and unscented options that come professionally packaged in organza gift bags. After finalising the recipe, Sharon put the word out locally about her new soaps and has had some great interest. She has already received 25 orders from people wanting the soap, as well as interest from several market businesses and handmade gift shops wanting to stock and sell the soaps on her behalf. Sharon gifted some sample bags of the soap to Able Australia CEO Kate MacRae and National Director of Strategy and Engagement Chandi Piefke on their recent visit from Melbourne to the ACT. “The soaps were beautifully packaged and very pretty. They would make fantastic gifts,” Chandi said. Mobile Phone Donation Rings Through Able Australia. Ablelink is Able Australia’s e-communications program. Ablelink incorporates a drop-in centre, extensive training and state-of-the-art adaptive communication technologies to help clients develop digital literacy skills that help them remain in regular contact with family and friends. Mobile Muster, an organisation running Australia’s only government accredited mobile phone recycling program, has worked with Able Australia for a number of years to wipe and restore second-hand iPhones for use in the Ablelink program. 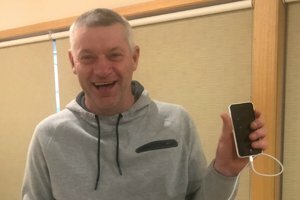 Following a recent donation organised by Mobile Muster, over a hundred iPhones were donated to clients across Australia and have been used in Ablelink. One client who received one of the phones is Ross. Ross is an Able client located in Tasmania. He has had phones in the past but they have always been very basic without cameras or special additions. With his new phone, Ross is loving listening to music, taking photos and talking to his sister throughout the week. With such a large donation, Able Australia was able to share the phones with a range of other service providers who do great work in the community. After seeing the benefits Ross has had after receiving his smartphone, we are thrilled to be able to help others have the same experience. St John Provide Able Australia Valuable First Aid Classes. Clients from the North Tasmanian Lifestyle Choices and the Young Adult Program (YAP) have successfully completed another session of First Aid. Twice each year, the clients at both programs participate in a First Aid information session run by St John Ambulance. In these sessions, there is a focus on learning about the recovery position, how to handle bites and stings, how to use bandages and a discussion on when and how to use the emergency services number – 000. Focusing on these four areas of First Aid every six months enables participants to keep up with what they have learned previously. The clients excelled in all areas, especially in performing the recovery position. As well as learning important skills and gaining invaluable knowledge on how to respond to emergencies, the group had a lot of fun and laughed together along the way. We believe that if some or all of the participants remember just one thing from the information session, it could save the life of a loved one. Both Lifestyle Choices and YAP operate year-round to give clients the opportunity to partake in community and centre-based activities that promote independence, choice and control. What is Able Art? An Introduction to Able's Creative Art Therapy Program. Creative Arts Therapy is based on the belief that art-making within a therapeutic context supports changes in a person’s inner world and helps them develop a more integrated sense of self. Able Art has been Able Australia’s creative arts therapy program for over ten years. The growing interest in creative arts therapy has transformed the program along the way and it is getting bigger and better every year! Able’s Creative Arts Therapist and Program Coordinator, Emily Walters, has studied Psychology, Disability and Art Therapy and is registered with ANZATA as an arts therapist. Clients of Able Australia’s art and craft programs are currently working to have their artwork ready to be displayed and put up for sale at the Able Art event that runs each year at Federation Square. The 2018 event, ‘Able Art: All The Colours’, showcases the work of Able Australia’s clients and coincides with the International Day of People with Disability. This year, the event will collaborate with a number of service providers to bring an educational and engaging exhibition to the centre of Melbourne. To download a flyer promoting the event, please click here. Able Clients Cooking Up A Storm in the Community. Able Australia’s Young Adult Program (YAP) is a popular day service where clients aged between 18-30 can build positive relationships with each other and the community, as well as increase their independence and learn important life skills. 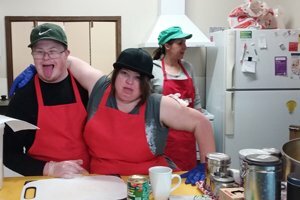 A key part of the Young Adult Program is its commitment to local community involvement, just recently partnering with TasTafe to share learning experiences and connecting with other Able programs to create the best experiences for our clients. This month, YAP connected with the Northern Suburbs Community Centre (NSCC) to begin a new cooking program. Once a week, clients and staff make their way to the NSCC to partake in a free public cooking lesson. YAP clients and members of the community cook together to produce healthy meals that are designed to suit everyone’s palates. In recent weeks clients have enjoyed cooking a number of dishes, from curries to Chow Mein. Everyone is given the opportunity to learn new skills, socialise and, of course, eat. This program is already set to continue for the rest of the year. We’re looking forward to seeing what the group cooks up next! Able client Jasper writes about his experiences of being deafblind with the intention to support others and raise awareness through his lived experience. 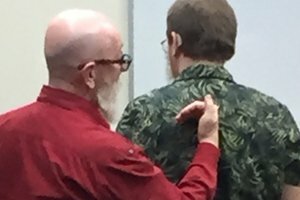 Read here about his experiences working with Carla Anderson and Dennis Whitcombe at last month’s social haptic communication workshop. Able Australia Celebrates National Week Of Deaf People Around The Country. 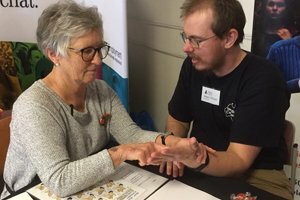 The weekend saw Able Australia represented at a number of events held as a part of National Week of Deaf People. In Melbourne Deborah, who is Deafblind, attended the Deaf Market at the school grounds of Deaf Children Australia. The market was held on Sunday 23 September which is International Day of Sign Languages and was a fantastic celebration. Deborah sold many of her handmade cards, which are tactile for people who have limited vision. Deb’s butterfly fridge magnets were also very popular. Butterflies are a strong symbol in the deaf community as many butterflies are deaf. One state over, our South Australian team had a busy but enjoyable Saturday at the DCSSA (Deaf Community and Sports South Australia) Deaf Expo. 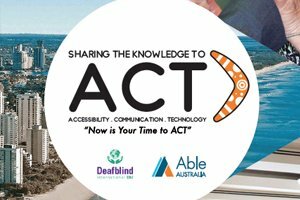 Many people from the Deaf community attended so it was a great opportunity to promote Able Australia’s Deafblind Communication Guide Project which aims to train between 40 and 50 Communication Guides over the next two years. It is an opportunity for Deaf people to celebrate their community, language, culture and history, make the public aware of their local, state and national Deaf communities and recognise their achievements. Each year, Able clients set goals with the help of their support networks and plans are put in place to help bring these goals to life. In his planning meeting this year, Able client Michael set the goal of going on a holiday. Throughout the year, Able supported Michael to plan and prepare, helping him choose a destination, organise dates, and make sure the holiday was everything he hoped. When the time came and everything was organised, Michael packed his bags and was joined by two Able support workers to travel north to the riverside town of East Devonport. 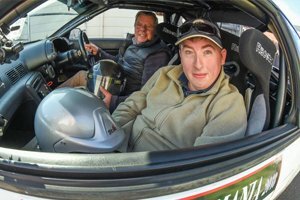 The two-night getaway was filled with chocolate and cheese tasting, dinners at the pub, sightseeing and even watching the Spirit of Tasmania set off on its own journey. Michael achieved his goal with a huge amount of fun along the way. 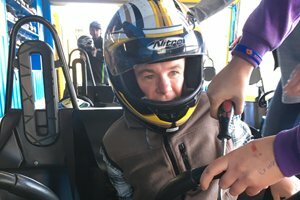 From riding the Don River Railway and jumping into a Go Kart at Kart Magic, to exploring the Tasmanian Aboretum and visiting the Bass Strait Maritime Centre, Michael was smiling ear-to-ear for the entire trip. Congratulations Michael – for achieving your goals, and for having a great trip! In Memory Of Sharon Barrey Grassick. After a very lengthy struggle with cancer, Sharon Barrey Grassick, aged 68, passed away on ­­August 25th 2018 in the Bethesda Hospice at Claremont, Western Australia, surrounded by her close friends and Rob, her much loved son. 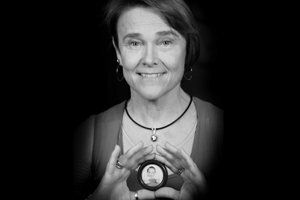 Sharon (Sha to her close friends) was widely regarded as Australia’s leading teacher and researcher in the complex area of communication skills for children and adults who are Deafblind. She was author of a number of major journal articles, substantial training manuals and specialist videos as well as a presenter at numerous national and international conferences on deafblindness and CHARGE Syndrome. Sharon was instrumental in establishing the Western Australian Deafblind Association (WADBA) and headed that organisation for many years before it amalgamated in 2001 with the Royal WA Institute for the Blind to become Senses Foundation. Originally from Upstate New York, Sharon was awarded a M.Sc. in Deaf Education in 1973 from the State University of New York at Geneseo. She was recipient of a Rotary International Award (1980), to study at Sydney’s Macquarie University as Research Assistant at North Rocks Deaf and Blind Children’s Centre. Here she developed a passion for building communication with children who are deafblind. She was initially a classroom teacher, then visiting teacher, university lecturer and coordinator of services for individuals with deafblindness. She also taught the Deafblind Communication modules in the Auslan Studies Course at TAFE and was Team Leader of the Deafblind Education Service based at WA Institute for Deaf Education (WAIDE) as well as Adjunct Lecturer in Sensory and Multiple Disability at the RIDBC Renwick Centre, North Rocks, NSW. She was as well, Secretary of the Australian DeafBlind Council (ADBC) and WA Director of the CHARGE Syndrome Association of Australasia. Sharon presented at numerous forums nationally and internationally and was Scientific Committee Chairperson for the 14th World Conference of DbI (Deafblind International) held in Western Australia in 2007. 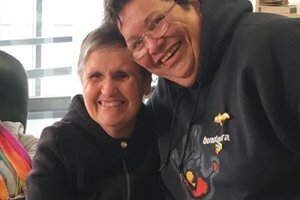 Should you wish to remember Sharon’s life of dedication in a tangible way, the Cancer Support Group WA maintains a website at https://youarebeautiful.gofundraise.com.au/page/sharon_barrey through which you might contribute in her memory. 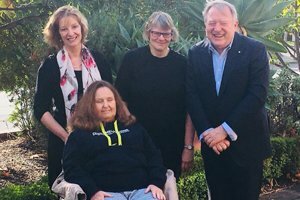 Able Australia to Host 17th Deafblind International World Conference in 2019! The 17th Deafblind International World Conference will be hosted by Able Australia on the Gold Coast in Queensland, Australia in August 2019. With over 500 delegates from over 35 different countries expected to attend, the conference will give attendees the opportunity to discuss issues, research and personal insights relating to deafblindness. Held every four years, the conference brings professionals, academics, people that work in the deafblind environment and people with deafblindness together. Over 50 years ago, Deafblind International (DbI) began as a collection of schools, institutions and organisations sharing their experiences of working with children who were deafblind. 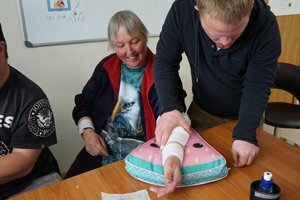 Deafblind International holds a vision of becoming an international association which promotes the awareness and knowledge of deafblindness as a unique disability, and to influence for appropriate services for people who are deafblind around the world. Able Australia, originally The Victorian Deaf Blind and Rubella Children’s Association, and then The Deafblind Association, has grown from an association providing services to people with deafblindness and rubella into a diverse not-for-profit organisation that offers a broad range of services to over 5000 people across Australia. The Scientific Committee encourages submissions from any individual who is deafblind, a family member of someone who is deafblind, an academic or a professional in the area. The Scientific Committee has members from Canada, USA, India, Argentina, Denmark, Japan and Australia, all working to deliver an innovative and involving conference that explores each of the three areas. The goal of the conference is to capture a variety of perspectives, research and best practices in deafblindness. To find out more about making a submission to the 17th Deafblind International World Conference and how to register, please click here. Richmond Fan Kicking Goals With The Support Of Able Staff. Every week, stadiums across Australia are met with roaring crowds and excited anticipation. AFL is one of Australia’s most popular sports, and it’s a long-time love of Able client Colin. For over 10 years, Colin has been a diehard Richmond Football Club fan. Club hats, memberships, shirts, jerseys – you name it, Colin has it. Every weekend, Colin and his housemates gather around the TV at their home in Melbourne to watch the games. Throughout both the Tigers’ high and low seasons, Colin has stuck by their side. Joined by the Able staff who support him at home, Colin has been getting to as many of the Richmond day games as he can. As of June, Colin’s next step was to start attending Richmond’s Friday and Saturday night games as well as the afternoon matches. Getting to night games became a goal for both Colin and for the staff that support him. 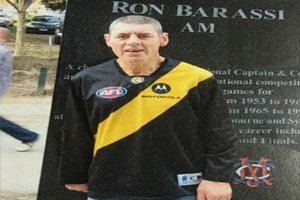 The team worked towards organising a roster of care that would allow Colin to get to these games, and on 3 August, Colin was there to hear the starting siren ring at 7:50pm, and witness Richmond’s triumphant win over Hawthorn. YAP and Lifestyle Choices Celebrate Christmas in July. What do you get when you combine the Able Australia Launceston Lifestyle Choices Program and Young Adult Program (YAP)? The North Pole in North Tasmania, complete with falling snow! Okay… Maybe it wasn’t real snow – but the bubble machine did well to give that illusion during the Christmas in July celebration. Clients and staff from the programs celebrated together on 27 July, with handmade Christmas decorations from the YAP team giving the centre a jolly makeover. 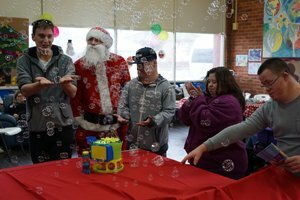 Both Lifestyle Choices and the Young Adult Program run year-round to give clients the opportunity to partake in community and centre-based activities that promote independence, choice and control. YAP is designed for clients between 14 and 30 years of age. The pass the parcel, karaoke, table tennis and dancing that filled the afternoon were so irresistible, even Santa showed up! Launceston Area Manager Bryce channelled Father Christmas himself and was joined by colleague Ainslie in her own Christmas outfit. Lachlan manned the popcorn machine, biscuits with dip were served, along with jelly cups, crisps, soft drinks – and for healthy measure, a platter of fruit. Everyone thoroughly enjoyed the ‘Christmas’ celebration, even with the rain pouring outside – only 5 months until the sunny December one. Social Outing Program in Queensland Gives New Life Experience. Colin was born in Lowood, Queensland 86 years ago. Lowood ‘born and bred’, Colin loves the land, says his cattle are his passion and he rarely leaves Lowood at all. This year, things started to change. 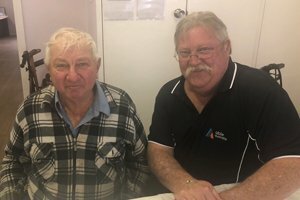 Colin joined Able Australia’s social outings group in Lowood. Initially, Colin was a transport client, signing up as the result of a longstanding friendship with volunteer driver Leon. Before long, Leon recommended Colin join the social outings program as well. Able’s social outings run regularly and give clients the chance to meet new people, have new experiences and travel to areas they may otherwise never visit. In April, the group ventured to Redcliffe on the eastern coast, 100km from Colin’s home. Throughout the day, everyone explored and took in the sights together. It was the first time Colin had ever seen the ocean. With a tear in his eye, Colin reflected on that day as being one of the best and happiest days of his life. Since then, Colin has experienced many firsts with Able – eating fresh seafood, seeing high rise buildings and even riding in an elevator. Colin says Able Australia has changed his life for the better and he looks forward to each trip and new experience. YAP Share Learning Experience with TAFE Students. Clients from the Young Adult Program (YAP) in Launceston and students and teachers at tasTAFE have had a great shared learning opportunity over the last eight weeks. The Health, Aged Care & Disability department at tasTAFE offered YAP clients a free course in Information Technology (IT) that students studying Certificate III in Disability students were asked to oversee and support. 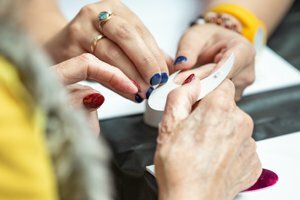 The course involved hands on activities that aligned with clients’ individual plans and preferences, including developing communication skills, social skills and money skills, as well as participating in craft, music and using gadgets. After meeting with clients at the YAP centre, the students completely took on the role of supporting the group while Able Australia staff stood back to watch the next generation of support workers take the lead. With students starting practical experience with Able Australia next term, we are looking forward to working with tasTAFE again. World Cup Excitement Connects Client with Local Community. Eagerly following the World Cup over the last four weeks, Peter, an Able client of Croatian descent, has shown his dedication and love for the game. Peter stayed up all night to watch his team win the semi-finals and secure a place in the final. 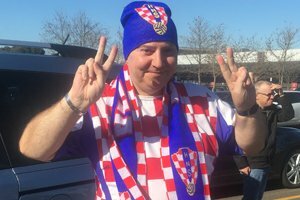 Thrilled with Croatia’s triumph, Peter bought a team shirt, scarf and beanie to show his support. The day before the nail biting final, Peter and Team Leader Kunal went to the local shopping centre where Peter proudly wore his Croatian colours. World Cup fever rolled through the area, with people excitedly approaching Peter to shake his hand and talk about the win and the upcoming final. Peter was able to really connect and share his excitement with them, and was especially happy to speak to others in Croatian. While Croatia didn’t finish with a win in the final, you can be sure Peter was cheering them on at home. Able East Celebrates NAIDOC Week. As part of NAIDOC week celebrations, Able’s East Melbourne Lifestyle Choices group Able East had the privilege of having Aboriginal Elder Aunty Jacko (Judith Jackson) visit to speak about Aboriginal culture and tell her life story. Judy is from Roma (Queensland) and is a part of the Gunggari tribe. Service Coordinator Kelly George saw NAIDOC week as a great chance to promote cultural awareness and contacted Judy to ask her to come along and speak with the group. Everyone was excited and client Lorna even stood up and sang to Judy (which Judy loved)! Judy spoke about her life and how things have changed since she was a child, telling stories about her parents, siblings, community and work life. Judy chose to focus on talking about her grandmother (Emma Jackson), as the theme for NAIDOC week this year is “because of her we can”. Judy’s grandmother was a woman with many skills and responsibilities, and cared for her family and the community while undertaking a number of different careers and challenges along the way. The group was given the opportunity to learn about dreamtime stories and what certain symbols mean in Judy’s culture, as well as the different ceremonies she has been involved with and their purposes. Staff and clients asked questions and were able to really engage in what Judy had to say about Aboriginal culture. Judy seemed to have a calming effect on the clients and they all wanted to have some one-on-one time with her to which she happily obliged. NAIDOC week runs from 8 July – 15 July 2018 and celebrates the history, culture and achievements of Aboriginal and Torres Strait Islander peoples. Able Australia Youth Service Receives Donation from Ulysses Club. 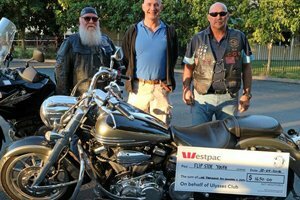 When Able’s Queensland Youth Support Program Coordinator Edmund McMahon approached the president of the Mount Lindesay branch of the Ulysses Club and explained the needs of our clients, it was met with a very welcome and appreciated surprise. Deafblind Awareness Week Fun Day. June 16 saw a very successful Deafblind Awareness Week fun day at our Camberwell location in Victoria. Throughout the day, 34 deafblind clients came along, as well as more than 50 volunteers, family members, students from Melbourne Polytechnic and Able Australia staff. The morning started with speeches from Kate MacRae, deafblind client Sandi Pontin, and our patron Peter Hitchener. After a stirring speech about her goals and aspirations, Sandi had the honour of cutting the ribbon to officially begin the festivities. Snakes, lizards, turtles and owls were a star attraction on the day with Animals of Oz setting up their reptile petting zoo in the office courtyard. For those less eager to cuddle a snake, there was the opportunity to have a massage from a massage therapist, and paint with Able’s creative arts therapist Emily. Visitors had the chance to mingle, meet, catch up and make friends as they ate and enjoyed the activities. The event has been called an awesome and memorable day, and one we hope to make bigger and better in the future! A massive thanks to our staff and volunteers for making it happen. Deafblind Awareness Week runs from 24 June until 30 June. Able Australia CEO Kate MacRae has undertaken a large number of interviews to raise awareness of deafblindness in the community, including a live national TV interview with ABC News at Noon. Client Robert Uren has had his dream of working at the CFA realised through the support of Able. Robert’s story began in 2014 when he met with Karen Major, Best Practice Advisor, now National Manager of Quality and Compliance, for his individual planning meeting. Robert shared with Karen his long-time dream of working at the CFA. 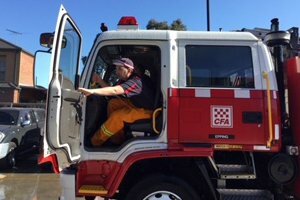 At the time, Karen and her husband Terry (a member of the CFA) facilitated Robert beginning regular visits to the Epping CFA site in 2015. Each Saturday for a number of weeks, Karen picked Robert up to take him to the facility. However, after some time, Robert was unable to continue his visits. Despite this, Robert’s interest in the CFA never waned and as of May, Robert is back! The CFA visits have started again, and it’s as if Robert never left. Wearing his CFA shirt and cap, Robert waited in his driveway for Karen to take him back into work. Once again, Robert was able to explore the fire and rescue trucks, learn how to operate the fire hoses and fire station doors, learn how to roll up the fire hoses, and help Terry wash the vehicles just like he did years before. The Epping CFA Captain Rob Saitta is now eager to find out how Robert can become a recognised volunteer. Able Australia Celebrates World Elder Abuse Awareness Day. 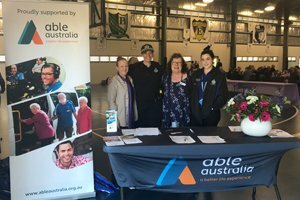 On Friday 15 June, the Able Australia Active Living Program for Seniors (ALPS) team held a successful community event to celebrate the contribution of seniors in the community and recognise World Elder Abuse Awareness Day (WEAAD). 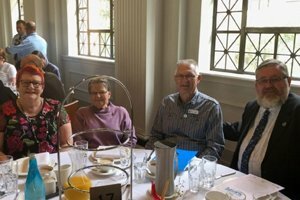 The ALPS team organises, promotes and attends many events in Queensland focused on the active involvement of seniors in the community. The Let’s Talk Together event, held at Ipswich Central State School as part of WEAAD, was a great intergenerational celebration with students and seniors coming together to discuss relevant topics such as bullying and elder abuse, as well as having an opportunity to connect and gain insights into each other’s aspirations. The event had over 60 seniors attending from various cultural backgrounds and 15 leadership students, including their Indigenous leaders, from Ipswich Central State School. A large number of service providers were on hand to deliver information about existing services and to support the event. Throughout the day, the school’s signing choir provided entertainment and really connected with the community in an emotional performance. There was a great focus on youths and seniors connecting, learning more about the community, and understanding what elder abuse is and where help can be found. It was a great day filled with sharing stories, making connections, meeting people, and creating friendships. Able Volunteer Shortlisted for Volunteer of the Year. Today is the last day of National Volunteer Week. The week has been a perfect opportunity to highlight and appreciate the amazing voluntary work we have here at Able Australia. For the final day of the National Volunteer Week, we’d like to introduce one of our volunteers, Daryl. This year Daryl was nominated and shortlisted for the Volunteer of the Year Award. Daryl has volunteered with Able for 12 years. In this time, Daryl has been a massive help within the Community Visitor Scheme program. Each week for these 12 years, Daryl has visited residents at Fassifern Retirement Village and Colthup Manor, driving up to two hours. One of Daryl’s amazing characteristics is his reliability. While Daryl’s professional and personal life have changed, he has always stuck to his commitments with Able, making him a familiar face that the residents can regularly look forward to seeing each week. Daryl is a wonderful listener and builds a real connection with each resident he speaks to – the staff at the facilities often commenting on the improvements in the residents’ sense of community and wellbeing following Daryl’s visits. Daryl gives part of himself to the residents – and he takes something back, learning and gaining genuine friendship with those he visits. Thank you, Daryl, and thank you to all our volunteers. We couldn’t do it without you. Able's Cathy Staughton Selected To Feature Art On Melbourne Tram. 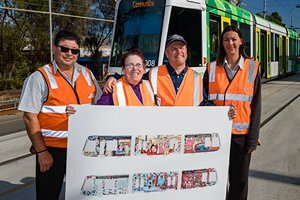 As part of the inaugural 2018 Yarra Trams Community Partnerships program in Victoria, Able client Cathy Staughton was given the honour of having her artwork featured on one of Melbourne’s trams. Through a partnership between Yarra Trams and Arts Project Australia, Cathy is one of two artists who currently have their artwork adorning a Melbourne tram, travelling routes 48 and 109. Cathy’s art is well known in the community and nationally, and now her distinctive style will be featured around Melbourne city through the tram network. Cathy’s tram displays a painting of St Kilda’s Luna Park. According to Cathy, it is one of her favourite icons to paint, partly because it connects her to her childhood memories. Cathy tapped into her artistic talent with the support of Able Australia. Since then, Arts Project Australia has supported Cathy to practice, exhibit and sell her artwork, while connecting Cathy with the contemporary art scene at a local and national level. The Yarra Trams Community Partnerships Program offers $1 million of in-kind advertising space to Melbourne based community organisations, taking in applications from any organisation which makes a significant contribution to diversity and inclusion in Melbourne. In June, Cathy and artistic muse Catherine Bell appeared on ABC Radio National to speak with producer Alice Walker about Cathy’s artistic career. The interview gave great insight into Cathy’s process and working relationship with Catherine. Read more here. Image courtesy of Arts Project Australia and Yarra Trams. Targa Tasmania Car Visits Able Australia Launceston. On Friday 23 March, more than 45 people with deafblindness from across the country made their way to PGL Campaspe Downs near Woodend in country Victoria for the 18th Annual Deafblind Camp. As with previous camps, this annual event provided plenty of opportunities for participants to relax, socialise and take part in a range of activities including bush walking, giant swing, flying fox, archery, abseiling, craft and visits to Woodend. These activities were only made possible with the assistance of over 70 eager volunteers who gave one-on-one support over the course of the three day camp. Not only did some volunteers travel from interstate, but for others it was their sixth, seventh or eighth camp! There is definitely something very special about these Deafblind Camps that sees both participants and volunteers coming back year after year. While Mother Nature brought the cold weather and rain to camp, cancelling many of Saturday morning’s outdoor activities, this didn’t dampen anyone’s spirits. Instead, it provided more opportunities for chitchat, catching up with old friends, and meeting new ones whilst playing an array of card and board games. Saturday’s theme night was a very popular event. A mixed theme of the roaring 20s, country & western and international saw a real assortment of costumes converge in ‘The Barn’, including flapper dresses, saris, black suits, cowboy boots, kimonos and everything in between! A photo booth was set up to capture many happy memories and the in-house DJ made sure there were plenty of upbeat tunes to keep the dance floor pumping! 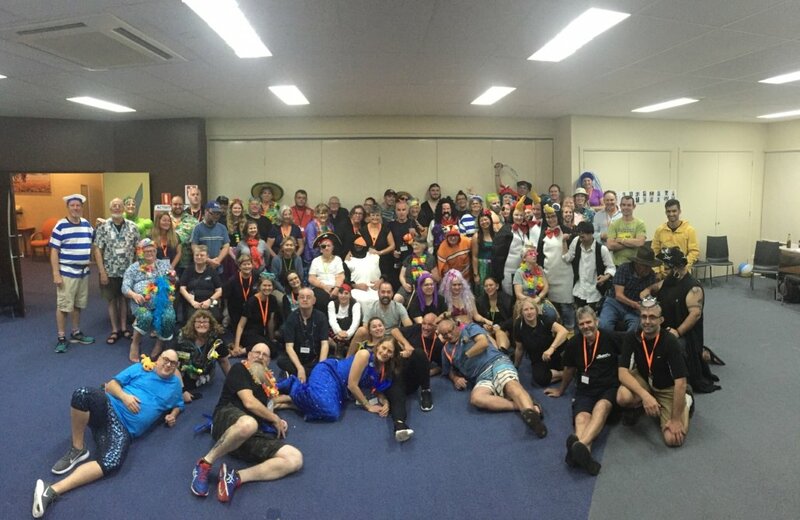 New Able Australia CEO Kate MacRae dropped in for a few hours to give everyone a warm welcome and judge the best costume competition. The endless activities and socialising saw Sunday come around much too fast. Having packed our bags, rolled our sleeping bags and said our final goodbyes, it was soon time for everyone to head home. But this goodbye is not forever, with many already promising to return for next year’s camp! 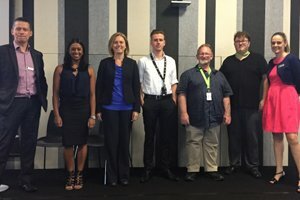 Able Australia Clients Share Stories of Digital Accessibility. Able Australia clients, Steve Ripley and Paola Avila, were recently invited to share their personal stories of digital accessibility with almost 200 NAB staff working in Melbourne and Sydney. Their presentations formed part of an ongoing series run by NAB designed to enhance their workforce’s awareness and consideration of people with hearing and/or vision impairments. Steve charmed the NAB Sydney event on 5 March, focusing on his experiences of using an ATM and other digital devices critical to his everyday routine. “Steve was incredible – very funny and charismatic. The leaders said it was very inspiring and a great reality check,” said NAB Scrum Maser Ishara Fernando. Paola presented on 7 March to the Melbourne office, sharing powerful stories of her participation in the deafblind community and challenges faced when travelling independently in the city. “I was not completely independent until I was 43, because that was when I started utilising my cane. I noticed it has significantly helped me with travelling and accessibility,” said Paola. Congratulations to both Steve and Paola for their incredible work at both events. Program Helps To Build 'Wheelie' Positive Futures. 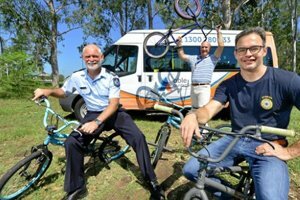 Young kids from the Beaudesert region in the Gold Coast hinterland of Queensland are learning some ‘wheelie’ good skills from a unique program which teaches them about bicycle mechanics and maintenance. To read the full article featured in The Queensland Times, click here.